Example- CheckedTextView In Android ? 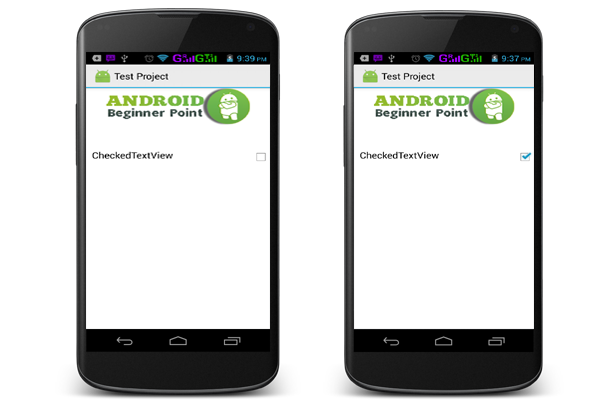 In this blog explain how to work CheckedTextView Widgets in android. the CheckedTextView Added API 1 . An extension to textview that support The checkble Interface and display. this is used in Listview where in SinglechoiceMode . android:checkMark - Drawable used for the check mark graphic . android:checkMarkTint - Tint to apply check mark. android:checkMarkTintMode- Blending Mode used to apply tint check Mark.